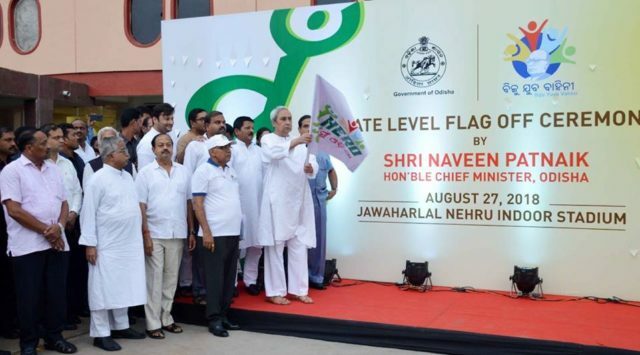 Bhubaneswar: Chief Minister Naveen Patnaik flagged off Biju Yuva Vahini Mu Hero Mu Odisha campaign, an initiative to identify agents of change and recognize their contribution to the state. The programme will connect with the potential & aspirations of people from all sections of the society. The campaign is part of the Biju Yuva Vahini, a voluntary programme that aims to promote youth leadership (in the age group of 15 to 35 years) and sports at the community level. 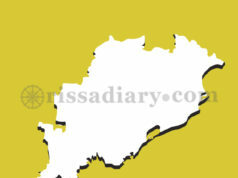 “Odisha is the land of heroes. 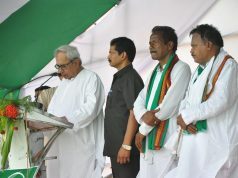 The sons of this soil have always fought for the self-respect and pride of Odisha,” the CM said. 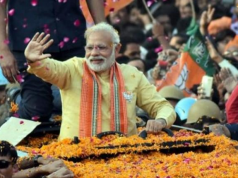 He said every households, villages and cities have great personalities like Gopabandhu Das, Madhu Babu, Biju Babu and Dharmapada. “Through this campaign, we will identify the hidden talents and acknowledge them for their contribution to our society,” he added. The CM said an ordinary person can do extraordinary work and felicitated Blind Cricketer Mohammad Jafar Iqbal, Loco Pilot Muni Tiga, weightlifter Jhilli Dalabehera, Human robot inventor Nilamadhab Behera, mountaineer Swarnalata Dalai and Mamata Dalai. On the occasion, the CM also launched the Biju Yuva Vahini website www.bijuyuvavahini.com and Mu Hero mobile vehicles.